With universities and colleges from across the UK and internationally, you can talk to a wide range of organisations and gain all the information you need in order to make a decision on where and what to study. 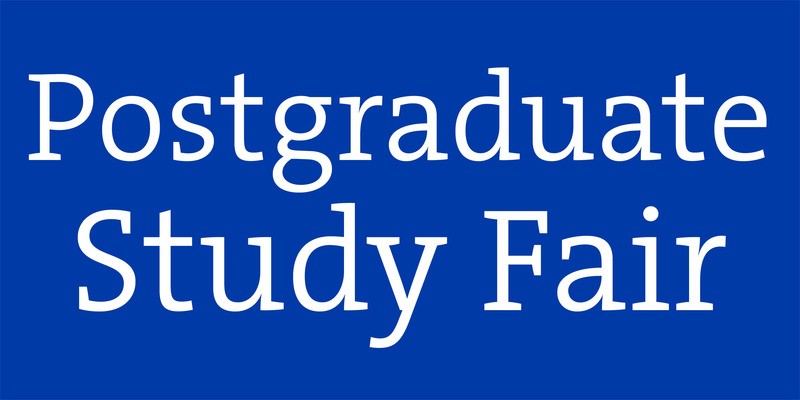 Come along to find out about hundreds of postgraduate courses available, from diplomas to Masters degrees and PhDs. We are the leading graduate fair producer in the UK and Europe. We are also part of the largest, most successful careers service in the region. We are passionate about helping students, graduates and companies reach their potential through recruitment, career advice and training. We have a good mix of exhibitors at every fair so all of our attendees leave feeling that they have explored a variety of options and not just the typical routes.